Interested in sponsoring Kids On Point’s 5th Annual Chucktown Talks? 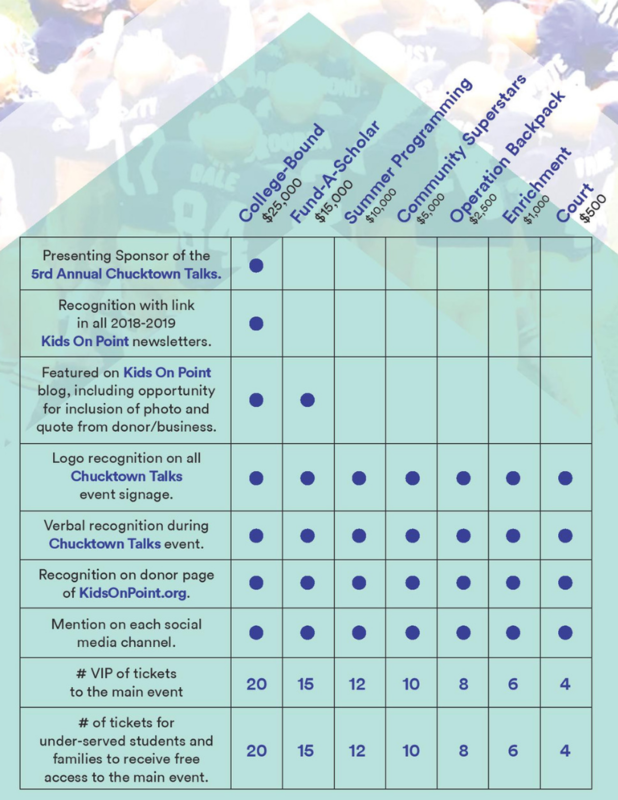 Sponsoring Chucktown Talks provides the unique opportunity to connect with the Charleston community, to build brand awareness, and to show your company’s support of an important cause: Kids On Point. The Chucktown Talks event reaches a key audience segment and provides a fun, entertaining, and engaging way for you to participate in a community-wide event. Feel good about supporting Kids On Point as you enjoy an unforgettable day. Sponsorship levels range from $500 to $25,000 and all levels include a package of VIP tickets to the main event featuring Rudy Ruettiger. If you are interested in becoming a sponsor for the 5th Annual Chucktown Talks–of if you’d like more information–please contact Lauren Herterich, Executive Director of Kids On Point. 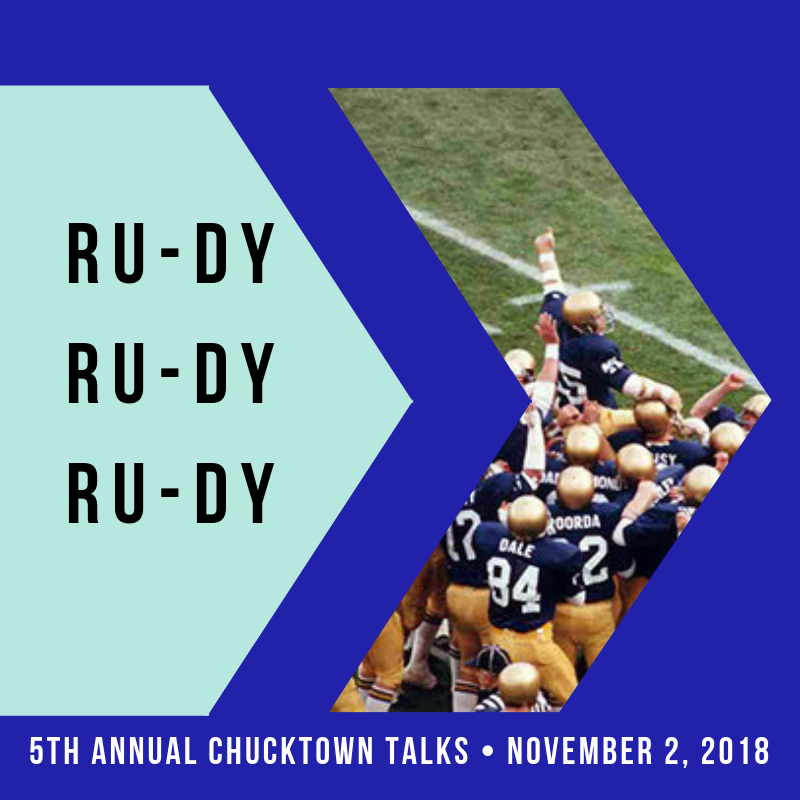 We hope to see you at the 5th Annual Chucktown Talks on November 2nd!